Update: There seems to be a pretty mixed opinion on this but it sounds like these are for the Galaxy Tab. Ok so now this is just getting weird, first the iPhone cable arrives and now Micro-sim cards arrive. Need we remind anyone that Micro-sim cards are what powers the Apple iPad and iPhone 4. As of yet, no other devices in the United States work with this sim card so it begs the question, why is T-Mobile receiving them? Boygenius pinged T-Mobile earlier today and received word back the cables themselves are for customers who are using unlocked iPhone handsets, just like we thought would be the logical reason. Ok fine, we’ll give them that, it does indeed make a lot of sense that T-Mobile would carry accessories for ALL their customers as many of you pointed out, they did carry accessories for the Nexus One in store, a phone that wasn’t sold at any of their retail outlets. Yet, the sim card images push the issue a little further away from the logical and into the “just what is going on” realm. We can’t say anything at this point as simply do not know and we would urge that there are no present indicators T-Mobile is set to receive the iPhone any time in the near future. 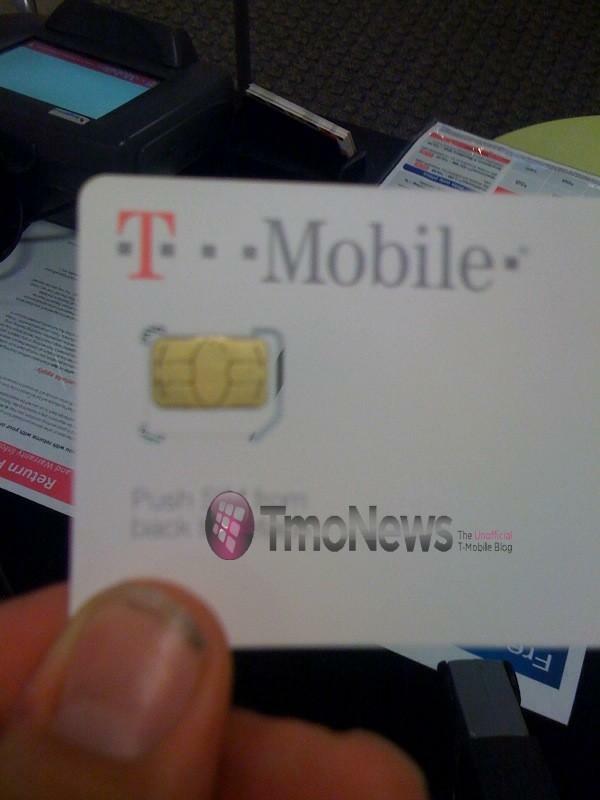 So we might wonder if T-Mobile is making a transitional shift to Micro-sim cards? Are they more functional or do they have more memory? Just what is going on! Could this be linked to the Galaxy Tab or Nexus S? Speculations only. You’re right. This is for the Galaxy Tab. I remember reading a while back ago that the Galaxy Tab supported Micro Sim. I’ll post the source link if I can find it. That dude has some dirty fingernails. hahahahahaha!!! I was about to say the same thing. need to clean them fingernails. I would so laugh if T-mobile gets the iPhone before Verizon. Verizon would go crazy and begin attacking T-mobile like how they attack at&t. This could be for the iPad but who knows it could be for the iPhone. Personally I would not mind cause this might be what will push T-Mobile out of 4th place here in the U.S.
Real question is do we really want t-mobile first in line? I mean look at us now only 4th place and getting data caps to 5gbs from the 10gb previously. Transition to micro SIM cards for which devices exactly? It makes no sense to change to micro SIMs even if it edges out traditional SIM cards in features/benefits. All current T-mo devices would require a converter/adapter for those things to even fit. At this point, I’d say we’re getting the iPhone or the iPad some time soon and it makes perfect sense for T-mo to be secretive since no official announcement has been made yet. It’s standard stuff for companies to deny anything and everything not officially announced by themselves. I’m not quite sure myself. I was speaking hypothetically at the moment but I “think” micro SIM’s might have more capacity in terms of memory and such. You’re right about regular SIM’s being outfitted to look like micro SIM’s but that wouldn’t give it the added benefits of a real micro SIM “if” they do have any added benefits. Regular SIM’s work in micro SIM devices because their basic function is the same, to identify the end user on a particular network. The pin’s are exactly identical and in the same place on both SIM cards with size being the only difference. well if its for ipad than it would run on edge, whats the point. verizon sells only wifi ipads. Does anyone know if the galaxy tab uses micro sim card? If not then, HOLY SH#T! Wow Soviet I think you got it right! Interesting, I remember that article, makes you go hmmmmmmm. we are talking about the line that says “Apple is in the process of manufacturing an AWS-compliant iPhone and that we should “expect an announcement in the coming months”..Right? hd7, nexus s?, nexus one, g2, mytouch4g and iphone. too many choices, great job tmo, no complaints here. I have a guess. Remember that the iPad 3G is actually unlock. The only reason that AT&T is having “exclusivity” is because they were the only ones that had Micro SIM cards. Now, if TMOBILE starts getting / selling Micro SIM cards, then we can buy an iPad 3G and use it with The Largest 4G Network, TMOBILE! Only one problem with that. As it stands now, the iPad does not support T-Mobile’s AWS 3G bands. At best you’d be able to get Edge (2G) from T-Mobile on the iPad. I thought the Galaxy Tab uses the regular standard sim card? Well I’m not saying that it doesn’t or that it does. It’s Engadget that’s saying it’s for the Galaxy Tab. 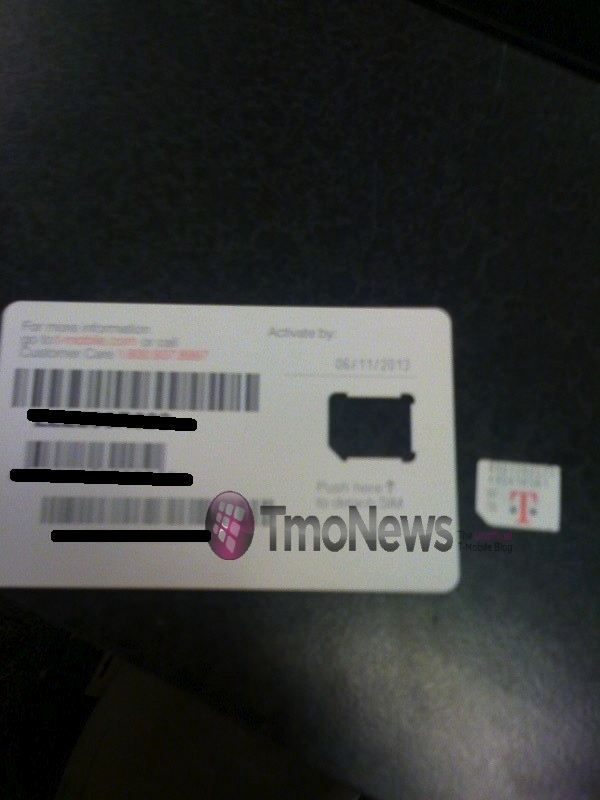 It’s plausible that the T-mobile version uses mini SIM cards. There’s a world of possibilities as to what the mini SIM cards mean but as of now we have no choice but to wait. That’s definitely a standard SIM, no doubt at all. It is standard. I looked at the video and saw the size. It cant be for the Tab. This is toying with my mind. I was gonna buy a vibrant next week just because of the Iphone UI. I had an unlocked iphone for years and couldnt take a the edge any longer. so then i got a cliq xt. This phone has made me no longer feel welcome to android because google has a problem with there manufacturers ui and updates. They stop supporting phones that are less than a year old. (cliq xt, 1.5) When apple didnt update the original iphone to ios thats fine b/c the phone is 3 yrs old, but android is….. whats the word….. FRAGMENTED. If this happens i will have no need for a vibrant. Cliq 2.1 update is currently being tested and should be released soon. The problem in your situation is Motorola not tweaking/tailoring the updates for your device in a timely manner(not Google’s fault). Then again, Motorola isn’t splitting it’s cellular division into a separate company because of it’s many great devices in the last few years…quite the opposite. Guys these have been available for awhile now. They’ve been on Amazon since June 5th. They’re for the iPad 3G. Weird that tmo all of a sudden started specifically targetting att. Could it be they are doing that to show off their network to current att iphone owners so when the iphone comes to tmo they want to switch for the faster speeds? 4G and iphone 4 together… who wouldn’t come to tmo? What about the possibility of stores have the availability for unlocked iphone 4, only thing that prevents customer from being able to use it is sim card. Maybe this is an added ploy to the mix to convert as many att customers as possible even if it means no contract????? Thats funny that you say that. We had a store visit from Poncho Hall and he said T-Mobile was toying with this idea and trying to figure out if the could market it…. Hmmmm I didn’t think they would go through with it. FYI the new CEO who is making all this noise already has a relationship with jobs. He used the iPhone to make T-Mobile Germany NUMBER ONE! Fuel-Fire. It’s my understanding that the only difference is the amount of plastic surrounding the built-in logic board, but nothing inherently different about the logic board’s standards. The t looks orange on my phone. Who needs the iphone anyway. My mytouch 4g will do better. If I can get good 4g here anyways. isnt the HD7 revealed to have a microsim slot in them? No. Got them in my stores yesterday. Regular SIM. T-Mobile Germany has iphone. New ceo T-Mo USA is from Germany. And he is known for being agressive. Anybody think this could be a clue? And now micro-sims show up. Just saying. Ive been saying this for months now. He already knows Jobs well and how he works. This would NOT be hard for him to pull off at all. I said it and I will say it again. T-Mobile is getting the iphone in Q1 of 2011. Why would T-Mobile carry iphone accessories. Even if it is to support unlocked iphone users, there are hundreds of other unlocked devices being used on Tmo’s network, why aren’t they carrying accessories for these users? C’mon people think. Its clearly obvious the iphone is coming. Whether you want it to or not. I agree. If users of unlocked phones want accessories why not go to third party sellers or the original carrier? Selection for them would be much better. It makes no sense to carry accessories for iphone unless T-Mo sells and supports it. I’m sure T-Mo will get the iPhone at some point, whether 2 weeks or 2 years, its not going to stay at AT&T forever if Apple plans to remain relevant in the U.S. This doesn’t suggest it’s coming any time soon in my opinion. I expect manufacturers would be glad to move away from the current sim card form to the micro sim. It only makes sense that as devices and their components become more capable, internal real estate becomes more valuable. Sim cards waste a lot of space in current form factor and micro-sims just do away with that. These are still backward compatible via adaptor, so why not make them available for users and manufacturers. T-Mobile iPhone 4 and iPad users are aplenty, so it saves them the trouble of having to trim a current sim to fit, a process that’s easy to do, but easy to do less-than-perfect. I’m just saying…there are a lot of reasons to offer these, so what the hell, pick your favorite reason and don’t let anyone tell you otherwise! I haven’t received micro sims or those cables in my store. Galaxy Tab uses a regular sim. November 20th is a Saturday, nothing gets released on saturdays, unless you were hinting on some sort of announcement which still seems odd to be done on a weekend. oops meant to put this link of the unboxing video. forgive me if this has been covered- I understand that the micro sim cards work on the galaxy tab…but what about the powet cable that has just shown up? I’ve always bought into the notion that we’d see an iphone on tmo b4 verizon. right before the G2 came out uncle Sam says it’s completely legal to unlock/jailbreak/whatever phones…maybe tmo starts helping people jailbreak Iphones? Just another thought to throw in there. Okay, first think about this. The reason T-Mobile had Nexus accessories…well T-Mobile supported it via the network. Makes sense. Anyone actually believe we are going to carry accessories for the iphone/ipod just to help “support,” the international, etc customer base? Come on. I’m hearing small stores are getting these. Stores that normally don’t see any iphone international users, and few if any iphone crossovers. I seriously doublt apple would let T-Mobile box something up of theirs for a profit; unless there was a tie in. Just saying. So here’s my thoughts as an employee of Tmobile (custcare)…it is a FACT that AT&T deal with Apple is expired and done with! That said, Tmo will continue to advertise the newest products (Tablet, G2, my touch4G) for several reasons. (1)To make that MONEY now and (2) to lock customers into the 2yr contract if they can. To add, in order to do this they need to inform the world what other phones(Drioid, iphone, evo) CANT do to get the customer to upgrade to that particular device. In contrast, I do believe that T-Mobile is coming w/their own version on the iphone. Why? Well it just makes sense right? At least everyone on this forum has GREAT opinions. Needless to say, A big day, an apple day was all mentioned on this discussion board and the other one. It will make no retail/business sense why Tmobile will wait this long to start selling Iphone/Ipod/Ipad accessories NOW when customers been using unlock’d iphones for years! Dont you think Tmo would of/should of done this long time ago if they wanted to make money? Last, Tmo definitely has this on the HUSH HUSH for real. Why? We here in custcare TALK too much (thats our job, lol). We would spread the word like FIRRRRRRRRE!! As a result, no one would upgrade to those new phones now (G2,mytouch 4G, etc) let alone data features profit and locking the customer into a 2 yr contract. SO, even if the customer wanted to upgrade/buy a Tmo iphone they would pay retail price/no discounts; which is more money for Tmo and Apple. Im just saying and these are my thoughts…..BTW, if my speculations are true, please dont even think you can threatening to cancel bc guess what? Where you gonna go? AT&T? Verizon? LOL JK but so serious.. Sorry to bust your WHY HAVENT THEY BEEN DOING IT FOR YEARS? Bubble but unlocking just became legal this summer… Thats why. Next. anyone say white iphone. now that would be big. lol. talk about a slap to the face att would go crazy. Wow this deff points to an Apple product on Magenta. unless some future Tmobile product is going micro. It’s for all of those jail broke iPhones tmobile is supporting. IT’S NOT UH TOOMAH…it’s not…it’s not uh toomah. Its not the iPad. Ipad doesnt have the AWS band frequency. As stated above, galaxy Tab uses this. TABS uses regular sim… go look at the first page comment for videos..
T-Mobile is now allowed to sell supporting products for unlocked iphones thanks to it NOW being legal as of this summer. The new CEO is doing this to ramp up for X-Mas sales. Don’t read into it. Move along please, move along. jailbreaking is legal. unlocking has not been dubbed legal. just jailbreaking. The exemption ruling that allowed for jailbreaking/rooting to be legal ALSO allows for unlocking a device by the end user. This includes unlocking, as that allows an end user to ‘connect to a wireless telecommunications network.’ But, it also requires that the network being used (in this case being T-Mobile) allows for them to work. These items, the MicroSIM and the USB sync cable, seem to indicate T-Mobile as more-or-less allowing such iPhone use. Hence, YES, unlocking is legal. You can’t be prosecuted criminally (or to an extent civilly) for jailbreaking/rooting your device or unlocking it to be used on a certain carrier as long as such use isn’t done for commercial purposes and is started by the end user (which makes these unlocking classified ads and ‘unlocking stores’ illegal according to the DMCA). As far as forcing a carrier or manufacturer to willing allow a phone to be jailbroken/rooted/easily unlocked is a different matter. We all know Apple works hard to keep jailbreaking and unlocking from happening, and recently so has some other OEMs and carriers (hence the ‘rooting a G2’ comment above). I’m not sure why tmobile would be bashing on the iphone and such with the mytouch 4G and then carry the phone. Uggh! Thanks a LOT for pointing that out… friggin gross! :shrug: Some of us have REAL jobs not pushing papers, you know, where we actually get our hands dirty. Don’t get a papercut in that cubicle of yours, might have to rush you off to the hospital and make a workers comp claim :rolleyes:. But there is an AWS Prototype of the iPhone 4 & that uses a Micro-SIM. Ummm you do know that they are under NDA especially for Apple they will NOT disclose anything when it comes to Apple. Im just saying. I’ve not seen either of these in my Columbus OH store (yet)… but with the exclusivity ending soon (? ), why not? Also, with jailbreaking legal… why not? With so many iPhones on T-Mobile… why not? Doesn’t mean the phone is coming. However… when a phone does launch, what’s the first thing to arrive in stores? This makes perfect sense. Why just single AT&T out..why not Verizon or Sprint? Simple, ATT has the iphone, but if every one knows that it’s not going to be exclusive for long, then why use money on a series of ads that will be useless soon. The simple answer is because they are getting the iPhone. The ads are serving two purposes. Right now, They are using the ad to drive customers to the MyTouch 4G ans they are educating customers about how the iPhone is limited by AT&T’s network. So when iPhone is release on T-mobile they will have already laid the ground work as far as letting customers know why the should choose and iPhone on THEIR network. And to fan the flames more, remember att changed the unlm data plans to 150mb for 20 bucks All because of the data hogging slowing the network down. Tmo stated months ago they can sustain the iphone. So T-Mobile is blasting the iPhone4 & AT&T big time in their recent commercials but you all think that T-Mobile will get the iPhone4 even though the iPhone4 is not a HSDPA+ device… riiiight…. Not everybody cares about HSPA+ . Some are just lucky to get 3G signal throughout their city. Plus the iphone is still in very high demand no matter who sells the phone. Uh, I think everyone is talking about an iPhone that could come out, not one that is out already!… it doesn’t even work on the tmobile frequencies so it would be a new one made to work for tmobile. If that were true, I think you would know that it would of course support the hspa+ network. Right?…ok, good. I like the idea, that’s for sure! It is strange to call out a specific network with a specific phone…who knows…. They aren’t bashing the iPhone 4, they are saying that a cool phone is CRIPPLED because out the crappy network it is on. Look how the portray the iPhone…young/hip/cool. Now look at the way they show AT&T, old lethargic man. Id the recent online only add, they show the iPhone trying to ESCAPE from AT&T’s network…hmm. They have never attacked the iPhone, just the network holding it back. Maybe, just maybe, the cable is for current I phone users on the network and the micro sim card is for a new device that t-mobile will be launching for the holidays? Maybe the new sidekick hspa+ device. Who knows at this point but just because the I phone 4 is not hspa+ now does not mean that it can’t be made that way. Just maybe? please tmobile will never get iphone…. If people took the time to look at the commercial and read between the lines you would realize that T-Mobile isn’t bashing on the iPhone 4. They are bashing on AT&T. So stop hating on the iPhone and stop being a fanboy because all you have is your motorola razr from 2005. Haha! I’m using a Samsung SGH-T139 flip phone. But that’s only because I can ony use my G1 when its connected to the charger and I don’t want to use my upgrade just yet. mmmmmm first Tmo is getting the iPhone charger cable, now the micro Sims. thats two thing the iPhone uses. Interesting. “The” store started getting iphone/ipod cable chargers yesterday… we couldnt figure out why,unless iphone is coming our way too. Clean them Dirty NAILS LOL!! t-mobile introduced micro sim cards to tech support about 10 months ago. it is not for the iphone. it will be for future data cards. The business part of the SIM i.e. the gold bits are the same size as a mini-SIM. i heard that the mytouch 4g actually uses the micro sim. But im not 100% sure on that, Aaron never popped the sim card out in his review of the the mytouch 4g. Engadget did report back in June that the iphone 4 was pentaband hspa capable. Maybe the iPhone 3.2 reference everyone has been talking about is actually a software edit to realize the full potential of the hardware as opposed to a verizon version. Hope to see the iPhone w/ TMobile, and hope tmo don’t jack up their price or do anything like AT&T (trying to ripping people off and all). I’ll pick up 3 if T-Mobile decides to carry them. I agreed about how apple is too controlling on their products (which i hates), In this situation, I don’t think Apple would let T-mobile sells any of apple products without having a deal and an agreement of some sort (the iPhone or iPad?). I hear a lot of stuff about the new CEO, how he’s aggressive and all… so we’ll gotta wait and see what’s really up their sleeves lol. I think if the iPhone was available at T-Mo, I think it will really help T-Mo. Select T-Mobile stores will soon begin carrying iPod/iPhone charge and Sync cables to support customers who may be using an unlocked iPhone or are traveling from outside the United States and using an iPhone while roaming on our network. T-Mobile carries the iPhone in Europe, so many people traveling to the U.S. roam on our network with their iPhones. The iPod/iPhone cable also makes a great companion product for our line of MicroUSB charging solutions. The cable can be plugged into the USB port of the universal MicroUSB car, wall or two-in-one chargers to provide customers with a charging solution for their iPod when they are on the go. I thought there is no way we were getting the iPhone but the coincidences are really starting to add up. The cables, the microsims and my schedule has been changed for next week for a some new dark project that we are rolling out. Add all of that with the new CEO Phillip Humm being the one who brought the iPhone to T-Mo Germany and I’m starting to think it might actually happen. I don’t know how they would be able to keep this one under wraps but man at&t would be hit with a torpedo if that’s the case! Yes, something is defiantly afloat with t-mobile. It may not be iphone related, and I am surprised that tmonews.com has not caught on to this yet, but employees were told they could not take Saturday the 20th off and many stores were given extra employee hour allotments for the week. If not iPhone, maybe another free phone day? We will know soon. does tmobile sell micro sims? Upon request our customer care reps can send you a micro sim card for iPhone 4’s and iPads.